injury that made this surgery necessary, the amount of physical therapy you are able to provide post-operatively, the age and size of your pet and whether or not your pet builds a good scar tissue pad in the area of the hip socket. Generally speaking, small animals (less than 60 pounds) regain better leg function than do larger animals, and younger animals rehabilitate better than do older animals. Importantly, animals that undergo an active rehabilitation program regain better function than those that do not. 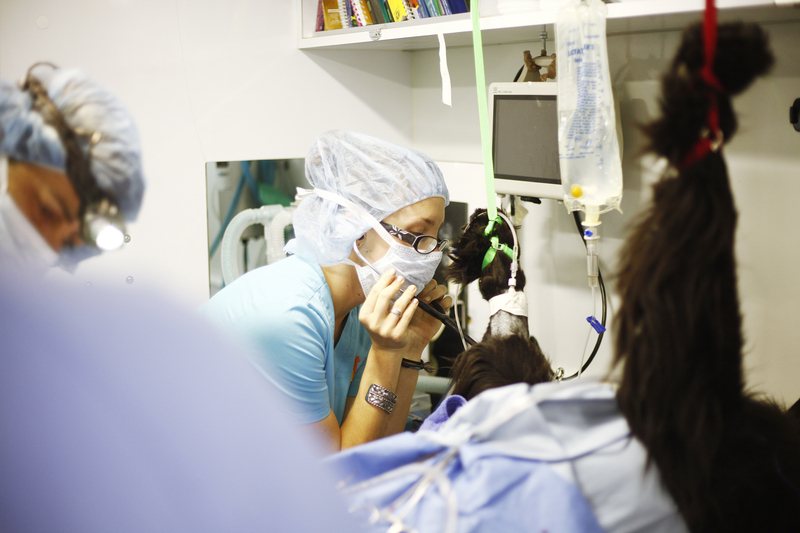 What follows is a basic rehabilitation program for your pet following this surgery. The doctor will tailor this rehabilitation program to best suit your individual pet. Surgery through 2 Weeks: Your pet needs your love and attention at this time. The surgery sit needs time to heal and the inflammation subsides. Pain medication and tranquilization may be needed. You do not need to worry about physical therapy at this time but gently moving your pet’s leg through a normal range of motion for 5 minutes twice daily can be done. Do not keep your pet too strictly confined, he/she needs enough room get up and to walk a little but not enough space so that he/she can run, trot, or jump. In order to prevent your pet from slipping and falling, keep your pet in a room where she/he can have sure footing. Weeks 3 through 4: Leash activity is appropriate and swimming at this time is a helpful exercise for your pet. You should walk your pet on a short, tight leash at a pace that is compatible with your pets using the leg. At first this will be very slow, but the pace will quicken soon enough. Again, passive range of motion exercises are appropriate, but to be of value they must be performed for 10 minutes, twice daily and you must extend and flex the hip just until it begins to hurt your pet a little -- then you know that you are increasing the range of motion in the hip area and benefiting your pet. Massage therapy, heat therapy, and water massage are all beneficial as well. Weeks 5 through 8: As your pet becomes more willing to use the leg, you should begin demanding more. Walks uphill, upstairs, in deep sand at the beach, jumping up, standing on the hind legs, etc. are in order. These activities place stress on the hind legs, forcing your pet to use them more, and thus strengthening the muscles and new scar tissue that is forming in the area where the ball of the hip joint used to be. Weeks 8 through 12: Light ball playing is fine, as it requires rapid starts from a stationary position. Athletes may be jogging, jumping, pulling sleds, etc. Playtime with other pets is beneficial. Any activity that forces your pet to use it's back legs is appropriate. It will, on the average, take a minimum of 12 weeks for your pet to use the operated leg well. During this period of rehabilitation it is not unusual for your pet to strain its muscles or stretch the scar tissue that has newly formed in the operative site, causing lameness. This lameness is typically rapid in onset and gradually gets better over 3-5 days time. Treatment with nonsteroidal anti-inflammatory drugs (e.g. Rimadyl, etc.) is appropriate during these episodes. Be sure to contact your veterinarian to ensure that your pet will be receiving the proper dose prior to giving any medication!! If your pet does not seem to be rehabilitating normally, or if you have concerns, you should reschedule an appointment so that we may see your pet and determine exactly what is wrong and take the proper steps to correct the problem. Every dog and each case is a little different. If you have special questions/concerns, please do not hesitate to make us aware of them. 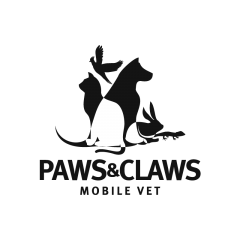 If you have any questions or problems during your pet's rehabilitation, please do not hesitate to contact us. Should you have any questions, please give us a call, our staff is always happy to help you. Thank you for letting us give your pet the extra special type of care it deserves.